This next car is a two parter. The first part came from tipper Jeff who writes: I love this era of the Jaguar. 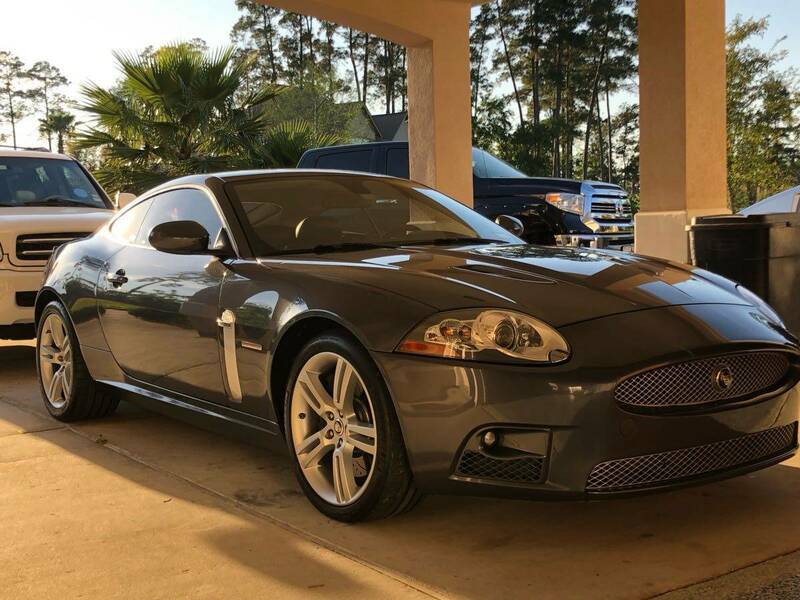 I know Ford's ownership of Jag effects the pedigree of the brand a bit as the V8 drivetrain used was basically the same engine found in the Mustang, but c'mon.... this is a close as you'll ever get to looking like a late model Bond/Aston Martin car without spending anywhere near the coin. 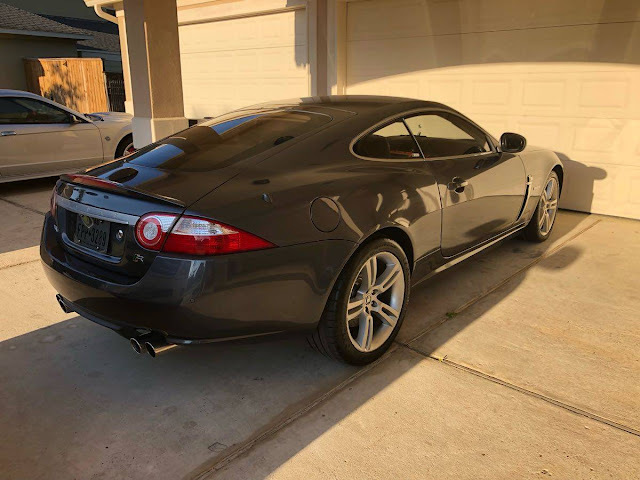 The Supercharged version of this same car (the XKR) is an even better example of bang of the buck. This email was followed a few minutes later by... Aaaaaand per my last email.... a 2007 Jaguar XKR. Miles are higher, but where are you going to get this kind of car, with this kind of look and these kinds of numbers. Find this 2007 Jaguar XKR offered for $16,787 in the Woodlands, TX via craigslist. I’ll work done by Champions Jaguar Curtain Road Houston, TX. Always garage kept the car is in near perfect condition. No issues at all the car can be driven across the country and back as it sets. Oil changed every 3000 miles. 'Got 8 cylinders, uses em all, overdrive, just won't stall ' Its Tanqueray Time Somewhere! That there car has a lot of pens in it. Combined with the wrap around sunglasses, I'm guessing realtor? Which then begs the question, would you buy a house from a guy driving this car wearing wrap around sunglasses offering you a free pen? Wow, it even comes with a PEN HOLDER?!? And the seat holds crumpled up black plastic bags. I might actually prefer the XK, although the chrome wheels on the example linked to are just awful. So, it would need at least $1k spent on new rims, I would guess. Just wondering if it might be easier to live with day in, day out, maintenance-wise, without the blower. Good thing I'm not in The Woodlands these days..
dont dig the chrome? my local Monument business (tombstone engraver) will media blast the chrome offa rims for about 25-50 per wheel. you can then paint em as you see fit. Save the Kilobuck.